Happy New Year!! 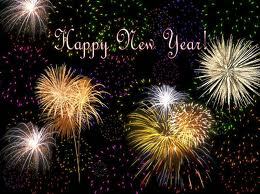 Have a safe and wonderful New Year! We will be back on January 3, 2011! 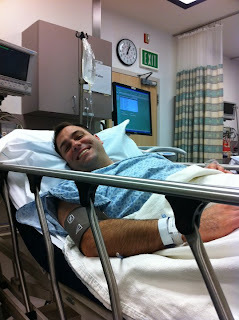 As you read in one of my previous articles that Steve had surgery this week. Andrew wrote his Dad this really sweet poem to help make him feel better. My Dad and I are paired. When he had surgery today I was scared. I love him so. I know a lot about him. He doesn't feel good. To me, my Dad and I are brotherhood. I'm really sad that my Dad doesn't feel well. A couple of months ago Steve was brushing his teeth when a I noticed a huge bump on his back. I asked him, "what in the world is that thing on your back?" and he responded with "where did that come from?". I rushed him over to the walk-in thinking there was something wrong with his appendix, kidneys...I honestly had no idea what it was. When we went to the walk-in the doctor told him it was a tumor. At 35 years old my husband had a tumor. How was that possible?? I cook healthy meals for him, we excercise and really try to live a healthy life style. I first went into complete shock and panic mode. I have spent the last 20 years of my life loving this man and now there was a possibility that there could be something seriously wrong with him. I am a pretty calm person and not super quick to over react, but this time I did. I automatically started to think of the worse case scenario. I started not sleeping at night and felt like I had a permanent chest pain from worrying about him. The kids started to make fun of me because my stomach was constantly growling and rumbling. We then went his regular MD who he had not seen since he was last required to have a physical with Ella's adoption. He advised that Steve have it taken out as soon as possible. He did an MRI to confirm that it was just isolated to the one tumor and there was no other tumor's in his body. We were happy to learn that it was just the one isolated tumor. We then scheduled his surgery for the week after Christmas. It was an easier week for me to have help from family since most everyone is not on their regular work schedules. We arranged for the kids to go stay at Grandma's house for a sleepover so that I could stay home and commit all my attention to Steve. Then the day came for his surgery. Ella cryed the entire way to the hospital. She just adores her Daddy and Andrew (who informed us he is old enough to understand these things) told her that Daddy had a 25% of dying in his surgery. Although we told her over and over that there was less than 1% chance that anything could possibly go wrong she could not stop the tears from flowing. As I sat in the waiting room for three long hours all I could think about was how much I love him. We met when we were only 16. We know what the other is thinking, we complete each others sentences, we are just so deeply connected. I just sat there thinking about all the memories we have together and the family we have built together. When the Doctor came out, I was so relieved. He told me that he removed a tumor that was the size of a baseball from his lower back. (a baseball!!!) I was so relieved that he was alright and that the yucky tumor was no longer feeding on his body. 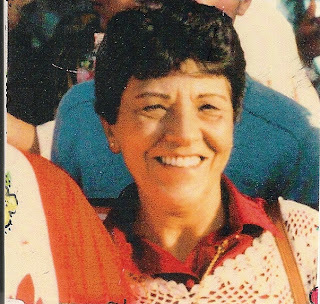 This month The Mom Blog featured Steve's Grandmas family recipe for her Italian red clam pasta sauce. I put together this video to help you with preparing the sauce. It took me almost 12 years to perfect the recipe, so I thought a step-by-step video could help you in making her sauce successfully! You can view the entire recipe here. At Jo-Ann, they appreciate the hard work and dedication of teachers and home school educators. They are proud to offer the Teacher Rewards Discount Card. 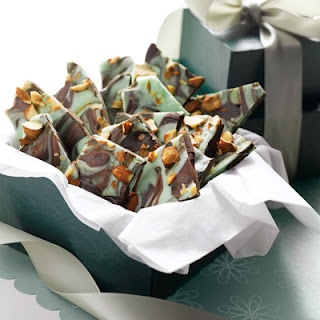 You'll receive 15% off every purchase you make, both in our stores and at Joann.com®. Sign up for one today! Free discount card for 15% off every purchase* from September 1 to August 31. Bonus coupon for 20% off any one total purchase when you enroll or re-enroll in the program. More of our popular, money-saving coupons as a Jo-Ann Preferred Customer. Personal notice of the latest sales offers, crafting trends & inspiration. *Excludes remnants, patterns, gift cards, and previous purchases. This Christmas we were hit hard with a terrible storm. We had over 6 inches of flooding in my work studio (aka. Santa's workshop). We thought that Christmas was going to be ruined, but the entire family came together and helped clean our house up just in time for the holiday. I originally thought that Christmas had be ruined. I was exhausted and frustrated from all the water and mud clean-up, but it ended up being one of the best Christmas' we had ever had. The kids were so excited about just spending time together as a family. Steve's Santa costume from Costume Discounters came the day before Christmas, and the kids loved seeing him dressed up like the big guy. We really focused this Christmas on the importance of our family and they we are together! It was such a special holiday and we were so grateful that we had each other, our families by our side and love in our hearts! ~We hope that you and your family had a wonderful holiday together too! California’s wide variety of cheeses provides endless opportunities to impress your friends and your palate.California cheeses are perfect at any occasion. Pair them with wine or beer, and you'll be an instant hit. Using the new Pair Savvy application you can pair your favorite California cheese with the perfect wine or beer making entertaining at the New Year fool proof! You can even download some great recipes for your New Year's party on the Pair Savvy website. My favorite is the California cheesy black bean dip. It looks so yummy and I cannot wait to serve it on New Years. There were also many other great recipes to choose from like Cheddar Chili soup, Cottage cheese pancakes, Presidential brownie sundaes and much more! 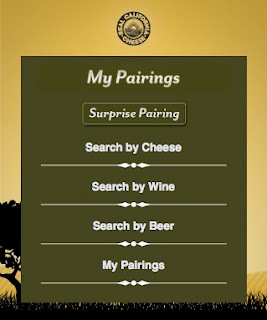 Real California Cheese Pair Savvy website is also available in a mobile application. You can download it by searching on the android market for "pair savvy". This makes entertaining even easier! You can choose the perfect wine and cheese while shopping for your party in the market. Want some coupons to help you with planning your New Years party? You can download coupons for real California cheese & dairy products here. You may have recently used red box for your movie rentals in the past. Well Blockbuster is joining them in the $1 movie rental arena. You can try them out for free by simply signing up for their email newsletter. Go here and in the upper right hand corner of the website you can register your email address. Then they will send you a code for a free rental! We had a recent opportunity to review DiGiorno pizza for our game day party. We purchased all our DiGiorno pizza at Walmart. We went to our local Walmart and were surprised to find that they did not have a freezer section, so we packed up the car and drove about 20 miles to the next closest Walmart to purchase our DiGiorno pizza. When we got to the Walmart, we were so shocked to see the price on the pizza. We were expecting to spend at least $8-10 for each pizza. The price was only $3.88 per pizza!! (Wow!) We purchased one of each flavor and included Steve's favorite (the one with the bread sticks). We brought the pizza's over to the Barone household to attempt to make frozen pizza for the first time. We figured what better critics than a traditional Italian group. When we first got to the house the game was playing in the background. There was a lot of yelling and cheering going on at the party. The box of the DiGiorno advised that we put the pizza right on the rack of the oven. Steve's mom was concerned about making a mess in her oven so she put them on foiled lined baking sheets. This was probably not the best idea. The pizza cooked just perfectly. The only problem we had was getting the pizza off the foil. It was humorous watching us all try and figure out how to cook a frozen pizza! We are normally tossing dough into the air and cooking it on a pizza stone in a fire oven. Once we served the pizza the results were in....everyone loved it! There was great amount of sauce on the pizza (very important) and lots of toppings. The crust was nicely risen and crispy just like DiGiorno advertises. It was a much easier pizza to make vs. homemade and there was almost no clean-up. The entire group really enjoyed the pizza and was really happy with dinner. 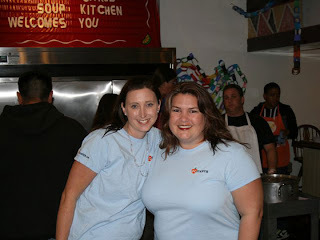 When we were done we had purchased so many pizzas that we decided to deliver the pizza's to friends and neighbors. Everyone was really excited to get a ring at the door and have Steve deliver them their very own DiGiorno pizza for dinner. We will now serve DiGiorno at all our future game day get togethers! Interested in us doing a review for you? Contact us here. 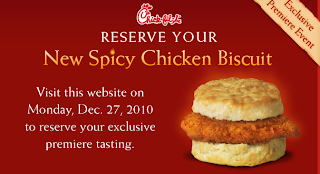 Make your reservation for an EXCLUSIVE premiere tasting of the Spicy Chicken Biscuit. This weekend we had the opportunity to review a Santa costume from Costume Discounters. Immediately when we got the package we were surprised to see such a high quality costume. It came with all the parts needed to transform Daddy into Santa on Christmas Eve for the children. Costume Discounters guarantee to have the lowest price on the internet. If you find the same costume anywhere else on the internet then they will match the price- plus take 20% off!! (Now that is great customer service!) They have a huge selection of costumes and even have pet costumes, plus size costumes and accessories. They also have a great selection of historical costumes for children's school performances or book reports. The quality is amazing and the prices are amazing! This costume that Steve is wearing is the Large Regal Regency Plush Santa Suit . It retail at $109.99 and Costume Discounters sells it at $89.97!! The costume quality is so high that my six year old duaghter even thought that her Daddy was the real Santa. If you like dressing up for Christmas Costume Discounters also has a large variety of Christmas costumes, including a super cute Elf costume. If you are looking for a costume for any occassion we highly recommend and trust Costume Discounters. You can shop for your next costume here. Felt Stories was compensated for this review by Costume Discounters.I only recommend products or services I use personally and believe will be good for my readers. I am disclosing this in accordance with the Federal Trade Commissions 16 CFR, Part 255 Guides Concerning the Use of Endorsements and Testimonials in Advertising. 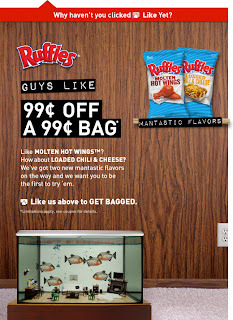 All you have to do is "like" the Ruffles facebook page and they will send you a coupon for a free 99 cent bag of Ruffles potato chips! of God's greatest gift- His only begotten Son. of Him who is the Light of the World. of Him who said, "Be of good cheer." of Him who is the bread of Life. The 27th annual Disney Parks Christmas Day Parade is traveling down Main Street, U.S.A. to your television on ABC this Christmas morning, and this holiday spectacular is even more magical this year. You'll want to tune in December 25 to watch the whole thing – just go to: www.disney.com/christmasparade for more information on showtimes in your area. 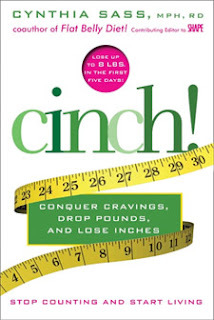 Cynthia Sass, the creator and co-author of the New York Times Bestselling Flat Belly Diet presents her new break-through, 30-day weight loss program Cinch! targeted to end overeating, leaving dieters feeling full and satisfied while enjoying the best food combinations to burn fat and boost metabolism. The program starts with the 5-day Fast Forward plan that ends erratic eating by focusing on five simple foods—spinach, almonds, raspberries, eggs, and yogurt (or vegan-friendly alternatives)—eaten in a variety of combinations. These first 5 days promise up to 8 pounds of weight loss. Each of the five foods is low in calories yet loaded with nutrients and natural satiety-boosters, which allows you to “detox” from junk foods without feeling deprived. The remaining 25 days of the program are packed with foods that offer maximum fat-burning, improving metabolism while unlocking the secret to the body’s satiety center with foods that the latest research shows turn on the body’s “I’m full” signal. As in Flat Belly Diet, all of the meals for the full 30-day program are created for you and are fully interchangeable. As an added feature, vegan and vegetarian options are covered so the plan can be adapted to fit any lifestyle. Cynthia is also the Weight Loss Blogger for Shape magazine. Get a free special holiday treat for that special canine in your family. 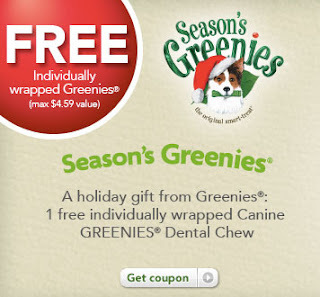 Right now you can get a free Greenies dog chew (max. $4.59 value) by logging into Petsmart.com and providing them your Petsmart account information. This is a super cute idea to show your kids that Santa came at Christmas! It is great if you really want to keep your kids believing. You make the picture in 3 simple steps. 1) You take a picture of your house. 2) You add your favorite Santa pose 3) You share it! In 3 simple steps, iCaughtSanta can help you turn a typical Christmas morning into something spectacular! Want Santa by the Christmas tree? 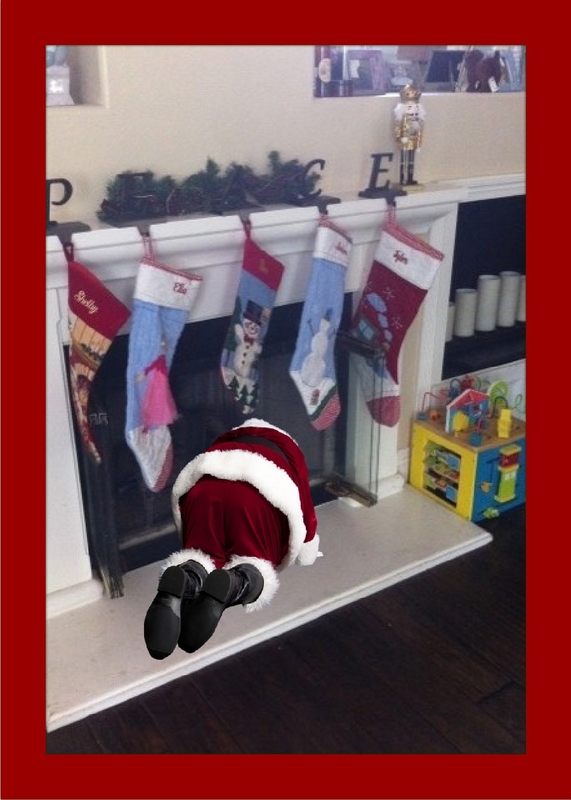 Coming down the chimney? Eating milk and cookies? Sleeping on the sofa? Stealing a kiss from Mommy? For less than $10 anyone can bring back the wonder of Christmas and be a hero to children by catching Santa "in the act." 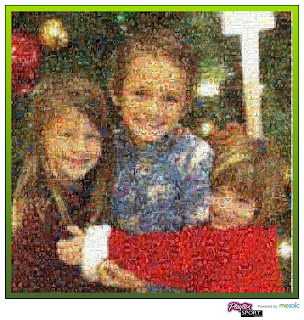 The price to make your picture is only $9.99, but we are giving away 5 free codes to make your own picture! 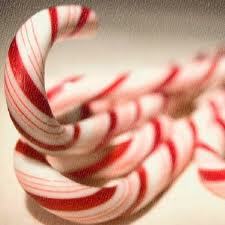 Want to make an iCaughtSanta picture? The first five comments below will get their picture made for free! I received one or more of the products mentioned above for free using Tomoson.com and sponsored by Favorite Wigs Shop Name Brand Wigs at Low Prices! Large Wig Selection of Estetica Wigs, Quality Wigs. Regardless, I only recommend products or services I use personally and believe will be good for my readers. I am disclosing this in accordance with the Federal Trade Commissions 16 CFR, Part 255 Guides Concerning the Use of Endorsements and Testimonials in Advertising. Tomoson Product review & giveaway Disclosure. We were so happy to share Steve's Grandma's special Italian holiday recipe at the OC Register Mom Blog. Click here for the recipe. Five years after the Food Allergy and Anaphylaxis Management Act (FAAMA) was introduced in the U.S. Congress, FAAMA has finally passed as part of the food safety bill and is expected to be signed into law by President Obama. FAAMA will lead to the much-needed creation of national food allergy management guidelines for schools. While these guidelines are voluntary, they will provide schools without existing food allergy management policies with a valuable resource. These policies are critical to help educate school officials about food allergy, a potentially life-threatening medical condition, and help them implement emergency plans in case a severe reaction occurs on school grounds. Studies have shown that up to 25% percent of reactions in school occur in children with previously undiagnosed food allergy. Earlier this month, a fatal reaction occurred at a school in Chicago, allegedly due to food that was consumed at school. The guidelines will also benefit parents of children with food allergies, who are looking for a vetted resource to help them safely manage their child’s food allergies in the school setting. Written largely by FAAN, the national guidelines will not supersede existing or pending state laws or guidelines concerning schools and food allergies. The FAAMA guidelines should be seen as a complement to existing guidelines created as a result of other legislation. This tremendous accomplishment was made possible by the thousands of individuals who advocated for this legislation and many elected representatives who co-sponsored FAAMA over the years, most notably Sen. Christopher Dodd (D-Conn.), whose daughter has a food allergy, and Rep. Steny Hoyer (D-Md. ), who has a grandchild with a food allergy. We celebrate the passage of FAAMA today, but our work is not done. FAAN will continue to work diligently to raise awareness, educate others, and advocate on behalf of the millions of Americans with food allergy and anaphylaxis. 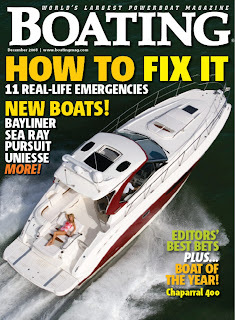 Sign up here for a complimentary 12-issue subscription to Boating magazine. Enjoy a 12 issue subscription. No strings attached. You'll never receive a bill. Boating is a natural extension for enthusiasts who love to read what the experts have to say about the latest trends, new gear, family fun, safety and interesting technologies. The magazine's boat tests are considered the best in the business, and the editors are known throughout the industry for unbiased, uninfluenced editorials. Have you been considering adoption?? I love doing charity work and love so many different organizations. I was really impressed when recently introduced to GiveBack foundation. You can set-up an account and choose a charity of your choice. Then GiveBack foundation will donate a portion of your online purchases to charity! GiveBack allows you to do all your giving in one place, without hassle or any complexities. Any charity, any time, any amount. Free. No cost to you or to the charities you support. Manage all your giving through one account. One receipt for tax time. Give to any charity registered with the IRS. There are several ways to add money to your foundation. Earn up to 15% of each purchase when you shop at our merchant partners. Make a donation directly using your credit card. Get the tax deduction now; give when you're ready. Our sponsors want to support your causes. Participate and get chances to earn more for your foundation. There's power in numbers. Spread the word by promoting charities and sharing stories. If you want, you can highlight your favorite charities on Facebook. Small donations add up: now you and your friends can donate together. Soon you'll be able to create campaigns on behalf of your favorite charity, so you can manage local fundraisers through GiveBack. Deal of the Day~ $5.00 Tickets to Little Fockers -Today Only! Looking for a funny movie to see this holiday break? Today only you can purchase $5.00 tickets to see Little Fockers. Purchase your $5.00 tickets here! Think spending the holidays with your in-laws is rough? Walk a mile in Gaylord Focker's nurse shoes. Hilarity is back as Ben Stiller's can't-win character finds himself at the center of uproarious mishaps and extended-family faux pas in Little Fockers -- in theaters tomorrow. With today's deal, you'll get one ticket to this holiday romp for just $5 -- a $15 value -- redeemable at Fandango. Don't miss the all-star cast, which, in addition to Stiller, Robert De Niro, and Owen Wilson, features the additions of Jessica Alba and Laura Dern, plus the return of Barbara Streisand and Dustin Hoffman. You can buy one voucher for yourself and a gift for a friend, but buy 'em before they're gone -- this Focker's going fast. Rain is not something that we usually get a lot of here in Orange County. When it comes we get pretty excited about it. One of my favorite things to do with the kids is run outside and start puddle jumping. One of our favorite things about being parents is that we get to live like we are kids again. We love to jump right in and get silly with them any chance we get. Yes, we might end up getting colds from running outside in freezing cold weather and getting soaked. Our kids aren't going to remember getting sick from puddle jumping....they will remember laughing, singing and giggling in the rain with us! PREHEAT oven to 325° F. Line small baking sheet with foil or parchment paper. POUR morsels onto prepared baking sheet. Arrange morsels so they are touching each other in a single layer (roughly an 11 x 9-inch rectangle). BAKE for 1 to 3 minutes or until morsels are shiny. Remove from oven to wire rack. With tip of butter knife or wooden pick, immediately swirl morsels to create a swirled pattern. SPRINKLE with nuts. Hold baking sheet 3 inches above counter and drop to settle nuts into melted morsels. Refrigerate for 1 hour or until firm. Break into pieces. Store in airtight container in refrigerator. VARIATION: Substitute broken pretzel pieces or another nut of choice for the almonds. 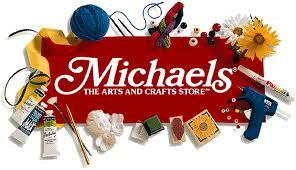 For anyone looking to do some last minute holiday crafts Michael's has a free 20% off coupon valid from Monday, December 20th- Friday, December 24th. This coupon is not like most Michael's coupons are IS valid on sale items too!! Print your coupon here. Happy crafting! Pretzel Crisps ~ The Holiday Dinner Must Have! Last week we got a knock at the door and we were so surprised to see the Pretzel Crisp car parked out front. Pretzel Crisps had personally hand delivered us a package of samples for our holiday party this year. We were even more excited to read the ingredients just to find out that they have no preservatives, no trans-fat, and NO high fructose corn syrup. (Just simple ingredients) You know you have found a healthy snack when the ingredient list does not have any funny chemical names and there are less than 5 ingredients! We brought Pretzel Crisps to our holiday party this year and it was a huge hit. Everyone ate them until they were all gone and kept asking me where they could find them. Even the kids at the party could not get enough of them! Want to know more about them? Want to know where you can find them? Follow their facebook page for daily updates. Tis' the season for a migraine. 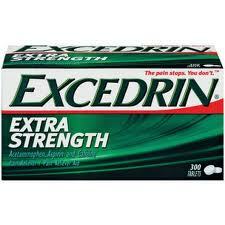 For a limited time for the first 10,000 customers Excedrin is giving away a free bottle of Excedrin valued up to $5.99. Click here to get your free coupon. Someone Cares soup kitchen is attempting to raise 50K in 50 Days to help feed the homeless. For the entire article, exclusive photos and videos real the full article here. To help donate to the Someone Cares soup kitchen click here! Playtex wants to help all girls become unstoppable! On the Playtex facebook page they are inviting people to come and make a free photo mosaic of all your friends facebook pictures. For every photo mosaic created, Playtex sport will donate $1.00 (up to $50,000) to the Woman's Sports Foundation in support of programs that help nurture healthy, active and confident girls. Here is the really neat mosaic that was made with all my 4,700 facebook friend pictures. You can also zoom and clarify the image to your preference on their facebook page. Click here to make your picture and help donate money to a wonderful organization! 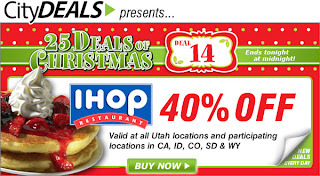 Consider that most of our readers are teachers & homeschoolers this deal of the day seemed like the best one to share! 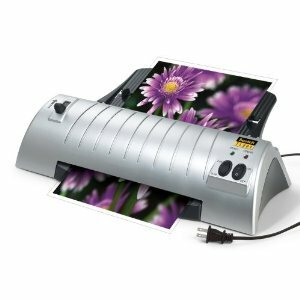 Right now at Amazon you can get this $80.00 laminator for only $19.99 plus free shipping! That is over a 75% savings!! I know that this laminator is a dream for any teacher this holiday! Who doesn't love a holiday parade? Before the holiday season is over you must take a break and visit Disneyland to see their "A Christmas Fantasy" parade. I love to watch a parade, and this was one of my all time favorites! 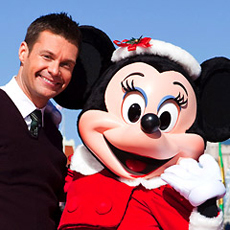 The holiday magic will continue at Disneyland until January 2, 2011. Take time daily for personal and family devotions. Try using an Advent wreath or Advent chain. Take time for worship. No part of your celebration should be so important that you don't have time to worship Christ this season and especially on his birthday. Emphasize gifts of love and service over material gifts. Involve the whole family in volunteering or reaching out to the less fortunate. Tell, read and retell the Christmas story. Read together some of the beautiful children's versions of the Christmas story. Check your local church library or go to sonshine to find some great books about Jesus' birth. Make Christ the central focus of your home and decorations. Set out an unbreakable creche for your children to manipulate and use to retell the story. Have a birthday party for Jesus. Young children love birthdays and will relate to Jesus' birth and the celebrations of his birthday. Bake a cake and let them blow out the candles for Him. Don't forget to give a gift to the honored guest at His own party. 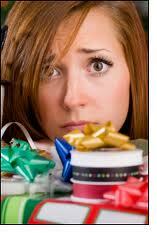 Help your children to decide on a gift to give Jesus that they think He would like, ie. making a card for a sick friend, giving a toy to children who don't have any...etc. Pray each day as a family for the people whose Christmas cards you receive. Taking the time to remember each person or family in prayer will teach your children and you the importance of praying for others. Don't sweat the little things. Remember that your goal should be to honor Jesus Christ in your celebration of His birth and then some of the details you're sweating will pale in importance. Have a J.O.Y. filled Christmas! True joy comes only as we put our lives and priorities in the right order at Christmas and throughout the year- J.esus O.others Y. yourself! A Christmas Special for all the Star Wars fans in your household! 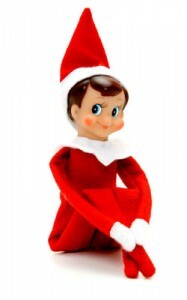 Save $1.00 on Ovaltine and Recipe! Please ingredients into a blender and mix until smooth. Would you like to win a free download of this app for your children? The first five comments will get a free download from SeeHereStudios. This past week everyone has been changing their profile's to cartoons on facebook to help raise awareness towards child abuse. Having worked in a battered women's shelter in Laguna Beach for many years in high school, I had the opportunity of seeing abused children first hand. It is not an easy thing to have to see and I feel it is so important to spread awareness of ways to help prevent it. Although I like the cartoon idea, I personally feel that spreading these facts can help spread awareness and really help children directly. If you are a teacher and notice there is a decline in a child’s performance in school. Abuse may affect all aspects of a child’s life,including their grades. If you notice a child's lack for hygiene. Neglected or abused may appear dirty or uncared for or have unsuitable clothing for the weather conditions. Act on your suspicions. If you suspect a child is being abused or neglected, trust your instincts. Suspected abuse is enough of a reason to make a report to the authorities. You do not need proof. The Wrong Side of the Bed ipad App Review and Giveaway! We currently extended our giveaway for the free downloads of this fantastic app. We had originally worked the review off of our iphone 4. When we got our new ipad this weekend The wrong side of the bed was the first app that we downloaded. We were so excited about how it looked on the ipad and so will you! Here are the reviews from our children the morning after they saw the app on the ipad. Want to win a free download? Enter here!